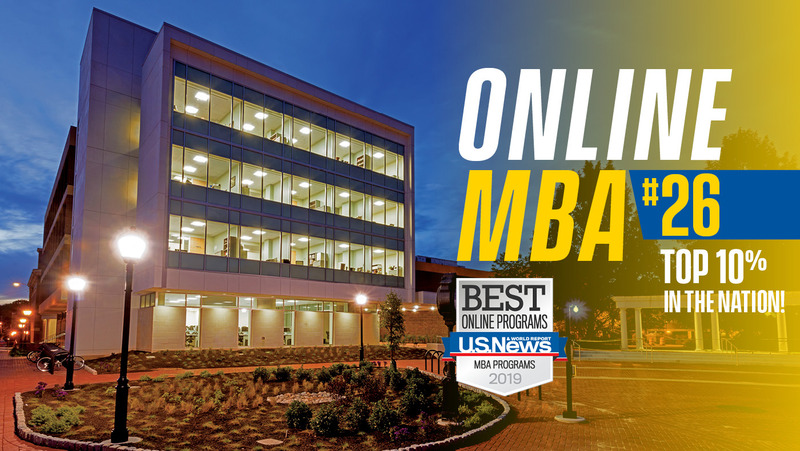 U.S. News & World Report has ranked the Online MBA program at the University of Delaware’s Lerner College #26 in its 2019 Best Online MBA Programs list, placing UD’s program in the top ten percent of ranked schools. This is a jump of 46 spots from the program’s 2016 U.S. News & World Report ranking of #72. Since its establishment in 2013, the UD Online MBA program has seen rapid growth not just in rankings, but in enrollment. For the fall 2018 semester, enrollment hit 357 students. Lerner College Dean Bruce Weber explained that the Online MBA program “has become UD’s largest graduate program by enrollment. It continues to grow and innovate through the efforts of Lerner faculty and our Graduate & Executive Programs office headed by Jack Baroudi. “With expanding competition, we have established ourselves in the top decile of accredited programs,” Weber continued, adding that in recent years, publications like U.S. News & World Report have “enhanced their methodologies and expanded the factors considered in their rankings,” making such rankings increasingly credible and useful for prospective students. In this area, the UD Online MBA program focuses on delivering real change in the careers of its graduates. For the class of 2017, for example, 66% of students either changed careers or received promotions from the time they started the program to within 4 months of graduation. So how does the program deliver results like this? Online MBA student Jennifer Merrill said that she certainly feels she is being prepared for new challenges. As a mid-career professional, she said that she chose the UD Online MBA to find new approaches to these challenges, and to round out her technical knowledge with stronger business development, management and administration skills. Merrill also said that she appreciates the flexibility of the online course structure, as well as the accessibility of the faculty members.